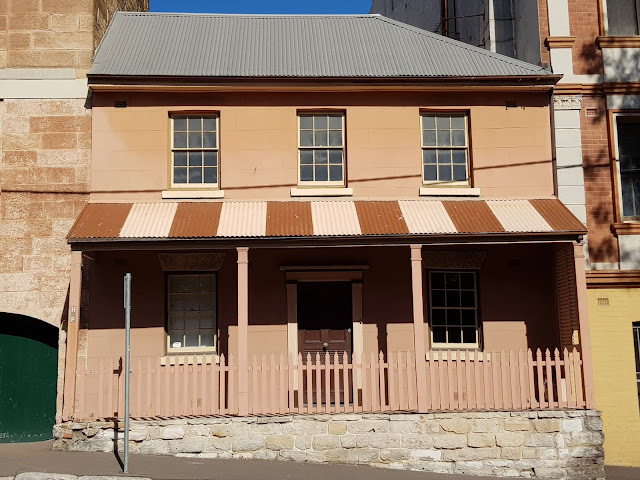 This historic house built in the Georgian architectural style is located in Windmill Street, in the inner city suburb of Dawes Point. Very clean looking...any idea how old? Suzy, while it is historic it's not heritage listed, so there isn't much information available on it. The lines of the lower roof particularly draw the eye. That poor little house looks like it's being squeezed by the two larger buildings on either side! This is true. It's squeezed in between a hotel and a former warehouse. What a great historical architechtoral you are! With all your post you could make a great book.